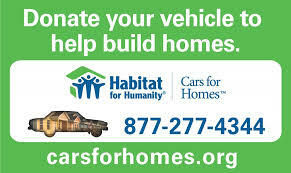 House building is one of the more visible aspects of any Habitat for Humanity affiliate program. From a foundation to the finishing touches, volunteers and trained staff work side-by-side with the future homeowners to help them build their dream home. The affiliate employs a trained Site Supervisor who serves as the construction leader for all skilled and novice on-site volunteers. The Site Supervisor works closely with the homebuyer, volunteers, and sponsors to ensure that homes are built safely and efficiently and that everyone involved enjoys the sense of accomplishment and community participation our mission encourages. Habitat for Humanity of Greater Centre County takes pride in utilizing quality materials and the most recent building techniques in the construction of our efficient, affordable homes. Whether building a new home or renovating an existing one, we work hard to produce quality, attractive homes for working families. Details on current build projects can be found here.